The border between Mongolia and China falls roughly on the border between two ecosystems. In this satellite image from the US Geological Survey (USGS), you can see where the southern steppes of Mongolia give way to the northern Chinese desert. The transition zone is known as the Edrengiyn Nuruu. The Edrengiyn Nuruu forms a transition zone between the Mongolian steppes to the north and the arid deserts of northern China to the south. 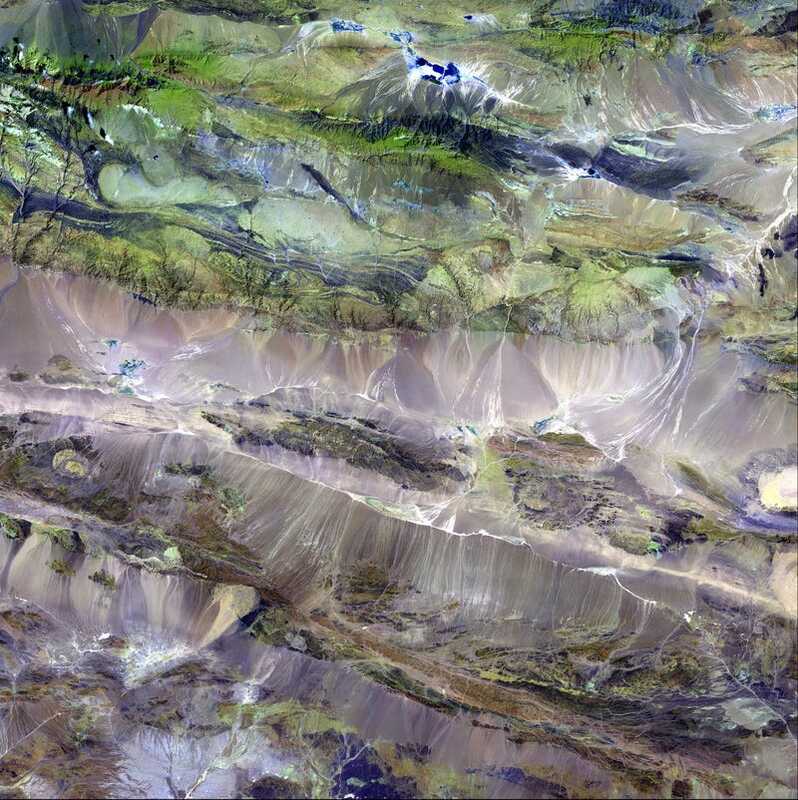 This image was acquired by Landsat 7's Enhanced Thematic Mapper plus (ETM+) sensor on August 13, 1999. This is a false-color composite image made using shortwave infrared, infrared, and green wavelengths.